Big Data has been disrupting the way we live and work for decades, creating new opportunities for more personalized customer engagement, improved security, greater automation and operational efficiency. Businesses who prioritize and modernize their analytics strategy and technology to monetize their data will lead and succeed in our data-driven world. Join Colin Mahony, Senior Vice President and General Manager of Vertica, on this webcast to hear the Big Data waves of disruption, and how Vertica is helping customers around the world ride the top of those waves. 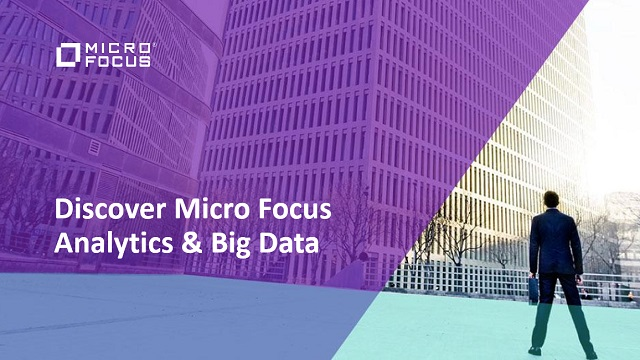 Hear about how the new Micro Focus is powering its software portfolio with analytics, and learn more about Vertica, the advanced analytics platform engine for the world’s most data driven organizations, including Facebook, Uber, Etsy, Cerner, Anritsu and so many more.